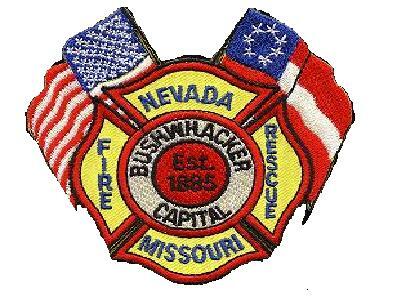 The Nevada Fire Department serves an area of approximately 9 square miles with a City population of approximately 8,500 and a daytime population of approximately 10,000. The department is staffed with 12 full-time and 1 administrative staff member operating out of 1 station utilizing 2 engines, 1 quint/ladder, haz-mat unit and a medium rescue unit. The city is protected by a daily on duty strength of 4 personnel. The department operates the divisions of Administration, Fire Prevention, Training and Maintenance Operations. The department provides a wide range of emergency and non-emergency services including: Fire Suppression, BLS First Responders as requested from Vernon County Ambulance District, Regional Hazardous Materials response, Technical Rescue, fire and life-safety presentations and inspections at schools, businesses and community groups, as well as CPR and First Aid courses for those requesting the service through the American Red Cross. Currently, the department holds an ISO (Insurance Services Office) rating of 4 which helps ensure lower insurance rates for Residential and Commercial Hazard Insurance. The Administration Division is headed by Fire Chief Bill Thornton with the overall responsibility for department direction and management. Chief Thornton is responsible for the three individual shifts which perform the day-to-day operations and emergency responses. The Prevention Division is headed by Captain Kevin Scott and is responsible for all aspects of fire prevention and public fire safety education, code enforcement and fire investigations. The Training Division is headed by Captain Troy Denney and is responsible for all aspects of the department’s training. The Maintenance/Operations Division is headed by Captain John McGraw and is responsible for all aspects of the department’s maintenance on all vehicles and equipment.